The Blackstone Group L.P. (NYSE:BX) is all set to make some profit with the sale of its U.S. industrial platform, IndCor Properties, for $8.1 billion. Singapore’s GIC Pte, Sovereign Wealth Fund, is going to buy the Chicago-based industrial warehouse company. Blackstone group has indulged in several property sales in the past 12 months and the real estate unit of the fund has offered returns exceeding $16 billion after the third quarter of 2013. The sale of IndCor Properties is valued at $8.1 billion and The Blackstone Group L.P. (NYSE:BX) has cancelled an initial public offering of IndCor Properties. The sale is likely to close in the first quarter of 2015 and Blackstone is likely to make profits of up to $2 billion from this sale. As of now IndCor Properties hold a portfolio of 110 million square feet of industrial space and GIC has been leading a consortium to purchase the industrial warehouse unit along with current debts. The Blackstone Group L.P. (NYSE:BX) has processed multiple sales in the past few months including the sale of five office buildings in Boston with total industrial space of 3.3 million square feet. In addition to it Blackstone sold its stake in Extended Stay America Inc (NYSE:STAY), Hilton Worldwide Holdings Inc (NYSE:HLT), Brixmor Property Group Inc (NYSE:BRX). 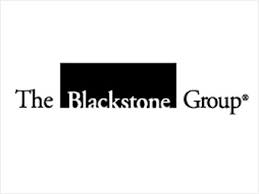 The shares of Blackstone Group L.P. (NYSE:BX) are trading at $33.15 with 5% increase in its share prices year-to-date. It has current market cap of $38.27 billion with institutional ownership of 56%. As far as GIC is concerned, it holds net assets of $320 billion and the firm has elevated its real estate acquisitions in the last few months.